Thumper (2016), a totally unique rhythm game and verifiable indie gem, is heading to Oculus Go tomorrow, September 6th. As far as mobile VR is concerned, Thumper is a pretty big deal to see ported to Oculus Go, and will likely set the stage of more ports to come as the launch of Santa Cruz, Oculus’ high-end mobile VR headset, draws nearer. Thumper launched back in October 2016 on both PS4 and PC, but its VR version was exclusive to PSVR at the time. A few months later, the VR version also came to the HTC Vive and Oculus Rift on PC. 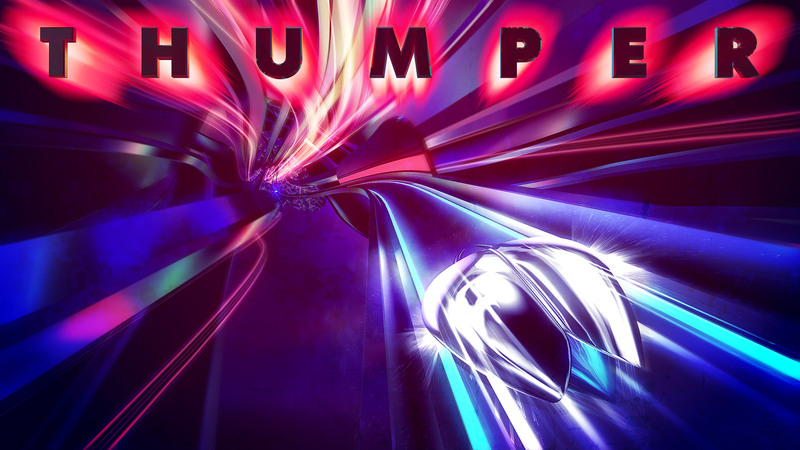 Thumper is a fun and visually aggressive, face paced rhythm survival game. As a space scarab you’ll enjoy banking and weaving your way through hours of increasingly intense levels. It doesn’t make use of any mechanics that are unique to VR and plays identically on the screen as it does on the headset, however the novelty of being in VR enables a more focused experience and heightens the game’s purposeful intensity. It isn’t clear at this time whether or not the game will appear on Gear VR as well, nor do we know how much visual fidelity will need to be sacrificed to make the game run well on the Oculus Go’s mobile processor, but assuming the developers manage to achieve the headset’s usual 60Hz framerate, it should at least be a smooth ride. Another question up in the air is exactly how the controls will work. On PSVR, the game is played with a gamepad using sticks and buttons; Oculus Go’s controller lacks a thumbstick but has a trigger, trackpad, and some motion input capabilities, so controls will need to be reworked—hopefully in a way that doesn’t diminish any amount of precision from the original. Though its received heaps of praise, Thumper isn’t a huge name as far as the traditional gaming world is concerned, but mobile VR ecosystems are not exactly filled with recognizable gaming IP, and so it feels significant that a respected PC VR title is getting a port to Oculus Go. It could be a sign of things to come, especially as Oculus’ high-end VR headset, Santa Cruz, is expected to launch early next year, and is likely to encourage even more ports from PC VR to the mobile VR space.